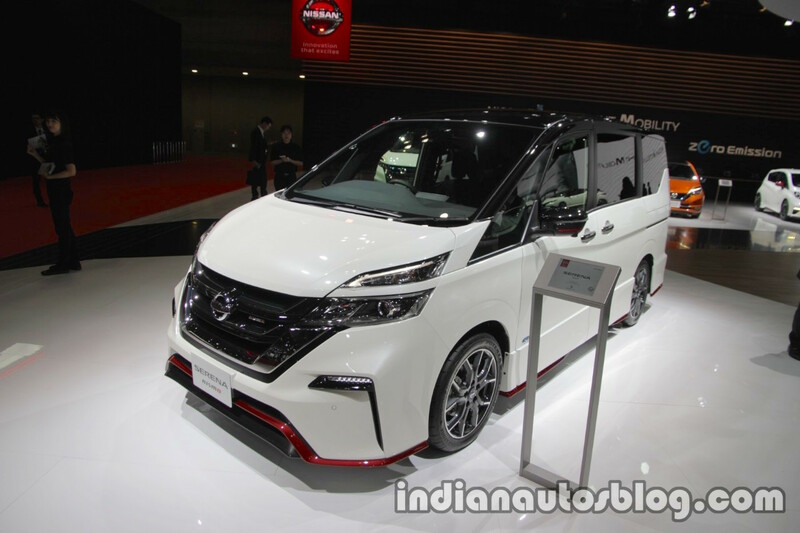 The newest addition to Nismo's growing performance-oriented lineup is a full-size minivan, which has been unveiled at the 2017 Tokyo Motor Show. Nissan has confirmed that the Serena Nismo will go on sale in Japan from November 2017. The changes made to the Serena Nismo is claimed to offer "head-turning styling and exhilarating performance without sacrificing the base model’s family-friendly, utilitarian nature". It features the typical Nismo body kit that comprises of an aggressive front apron with custom aero parts and signature red accents, a larger V-motion grille, side skirts, larger diamond cut alloy wheels, and a bold rear bumper with a diffuser. Also exclusive to the Serena Nismo is a gloss black roof to contrast with the white exterior. However, the changes inside aren't as substantial as its exterior. The Serena Nismo has red accents applied to the steering wheel and side-vent surrounds. The leather upholstery also seems to carry a different pattern. Nissan claims that it has a new engine control module and exhaust system to enhance the driving experience. Powering the Serena Nismo is a 2.0-liter 4-cyl petrol engine with 144 hp and 210 Nm of peak torque. It also has a custom sport-tuned suspension system for sharper handling.